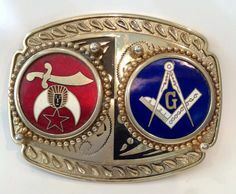 Do not miss this epic NCSF dinner & entertaining conversation with Jordan Yelinek "Every thing you ever wanted to know about Free Masonry, but were afraid to ask"! Chef pelle will prepare a "Pepper Garlic Grilled Beef Tri-Tip" with his signature "Cognac Sauce" for this special NCSF event! Please RSVP/pay by Credit Card on the web! Checks made out to the Norwegian Club of San Francisco will also be accepted with a reservation.